Morrow Little is haunted by the memory of the day her family was torn apart by raiding Shawnee warriors. Now that she is nearly a grown woman and her father is ailing, she must make difficult choices about the future. Several men–ranging from the undesired to the unthinkable–vie for her attentions, but she finds herself inexplicably drawn to a forbidden love that both terrifies and intrigues her. Can she betray the memory of her lost loved ones–and garner suspicion from her friends–by pursuing a life with him? Or should she seal her own misery by marrying a man she doesn’t love? This sweeping tale of romance and forgiveness will envelop readers as it takes them from a Kentucky fort through the vast wilderness to the west in search of true love. It’s been over a month since I read this novel, but I’m going to try to do it justice. It was really a great book … but there were some things I thought dragged, and I read it in less than two days, so that’s saying something. Also, a lot of the situations seemed unrealistic to me. There didn’t really seem to be a plot, either, in my opinion. It was okay. I liked it overall, but, as I said before, it went on and on and on. I will say that the title makes no sense. No one ever courted Morrow Little! Not really. And certainly not for much of the book, if you can count it as courting. 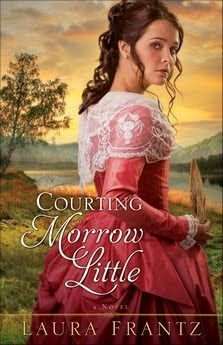 The book was more like the life of Morrow Little after she returned from the East to the Kentucky wilderness and [SPOILERS] meets a hot Indian who her father nursed back to health as a kid. They fall in love and get hitched AND THEN the story goes on about their adventures as a married couple. [END OF SPOILERS] I also found a lot of things to be unrealistic or inconsistent (more on that in the character section). Anyway, it just seemed to go on forever and not be focused on any single theme (except Morrow’s life, I suppose). I liked Red Shirt, although I found it difficult to like him because I read the whole book feeling like he didn’t have a real name. I mean, Indian names are cool, yes … I like my Bright Stars and High Hats and Fire Bottom as much as you do … but they don’t feel like real names to me! I was like, “Okay … Red Shirt. That’s just … two words stuck together.” XD That’s just me being me, though. But … he didn’t put Morrow first. I know, the concerns of a nation are probably more important than the concerns of one woman … but … but … eesh. He just seemed inconsistent. If I were Morrow, I would never trust him. He isn’t necessarily going to be there for her, plainly. I didn’t mind Morrow. She was weepy and weak, yes, but I wouldn’t have minded that … if she had been consistent in it. For instance, I found Morrow to be whiny at times … and then suddenly she was [END OF SPOILER] riding a horse half a day while in labor [END OF SPOILER]!What the what?! And I didn’t see her grow as a character between her sobbing days (which were numerous) and her adventurous days! But maybe I missed it. Like I said, I read it fast. I can’t think of other people now as I only took notes on Morrow and Red Shirt and it’s been a while. Laura Frantz is amazing about researching her novels and building a great setting. I’ve only read The Mistress of Tall Acre, but … wow. She’s always so strong in this area! The description was also good. She really portrayed the Red River (and every place we went) in a way that made me want to go there. I literally can’t remember how she did in this area, and I forgot to take notes about it! So I’m giving it 5/5 stars because apparently there was nothing that bugged me enough to make a note about it. This is not necessarily 100% accurate as it’s been a while, but I’ll do my best. No cussing/crude language. Some violence and mentions of violence (Indian massacres, wars, etc.) Mostly mentions of violence, if I remember correctly. Never anything disturbing. I seem to remember that there was a lot of sexual content in this book. It didn’t make me incredibly uncomfortable, but it was still a little more than I would have liked. For instance, in my opinion, we know every time [SPOILER] Red Shirt and Morrow … well, you know. [END OF SPOILER] It drives me crazy! I DID NOT NEED TO KNOW THAT! There were no details or anything, but … why!? Still, that’s the risk I take when reading fiction probably aimed at adults. A somewhat-detailed description of childbirth and lots of talk about pregnancy, etc. Although I wouldn’t recommend this to a first-time Frantz fan (I’ve read better by her), it was a great story and if you like Frantz’s novels (which I do), you should definitely read it! Content: 2/5. No language. Little violence; mostly mentions of violence, uprisings, impending war, etc. A couple kisses, not very detailed. Louis Lestarjette, a Frenchman, arrives in Charles Town, South Carolina, in 1772 without purpose or plans. He encounters a society on the brink of revolution and is forced to make decisions that include finding meaning and direction in his carefree life. Who can he trust in his endeavors to prosper? Will he be able to stay neutral in a battle for independence? When decisive events confront him, will he stay or leave? Running from God and commitment is a constant option. Elizabeth Elliott, daughter of a prominent British citizen, believes God will hold her close in uncertain and changing times. Faced with making difficult decisions about her loyalties, she finds comfort in close friends, a devout sister, and her music. 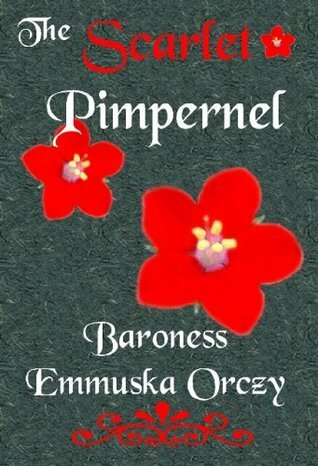 When the mysterious Frenchman with no commitment to God or Charles Town enters her life, her role in the political battle is challenged. Can she trust her heart in volatile situations? Wow. That was really a fantastic novel. Great plot, great characters, great message. I really loved it, but there was a lot of showing instead of talking and several awkward sentences. It increased my enjoyment of the book at times just because the writing wasn’t smooth. Other than that, though, I have nothing to do but sing this book’s praises. At times, this was a very intense book. It showed the various sides of the conflict within the colonies along with the various opinions of each individual character very clearly in a unique way. It wasn’t just that, though. I was very involved in everything the characters were feeling and thinking. I really enjoyed that. It was never too fast-paced despite being exciting; crucial things like character development or description were never ignored. As I mentioned earlier, a lot of telling instead of showing and a couple awkward sentences which interrupted the flow of the story. I really loved Louis. He was my favorite character by far … though I liked Elizabeth, too. It’s rarely you see an accurately portrayed yet not overdone Frenchman. I don’t know why, but it just is that way. Though intriguingly French, Louis was natural and likable. Elizabeth was also a very cool character. Most of the time when a book character (or anyone) has differing opinions from their parents, they end up having tons of quarrels with each other, hating each other, etc. It wasn’t so in this case, which was refreshing and cool. I love how, though standing firm in her beliefs, she respected her father and deferred to him. What an awesome way to be! There were quite a few minor characters, but I won’t go into them. I admit that once or twice I got named mixed up or forgot who was married to who or something like that, but for the most part, they were interesting, individual characters which I really got invested in (and can’t wait to see in the sequel!). However, although this is a (really sweet, realistic) romance, the title isn’t a corny romantic line. It’s a prayer to God. Now, that’s original, isn’t it? Nice variance. Besides being clever, it’s a really deep, awesome message. Overall, this is a really fantastic adventure/romance story that wraps you up in the era without overwhelming you with a ton of historical details. 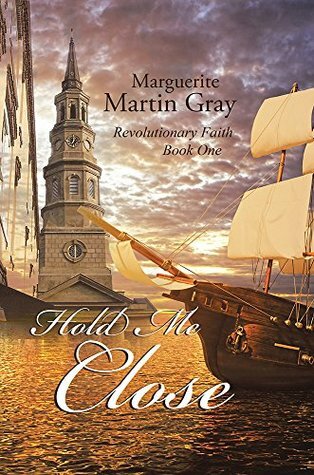 I’d definitely recommend it to anyone who loves sweet romances with strong historical, adventure, and Christian themes.